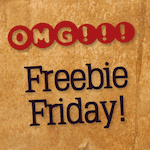 Freebie Friday “Fall Flicks” Edition: Win a Free Redbox Gift Card! Summer is starting to wind down, and the leaves will begin to change color before we know it–fall is on the way! There are some fun movies slated to come out this autumn–we want to know which ones you’re most excited about! Which upcoming fall movies are you most excited about? Here are just a few of the flicks coming out in the next few months: The Predator, Creed II, Aquaman, First Man, Bumblebee, Venom, Serenity, Mowgli, Bohemian Rhapsody, and Halloween. What’s your pick? The Predator but without Ahnold? I am most excited about Aquaman. I’m really looking forward to Aquaman, but definitely want to see Bohemian Rhapsody as well.